Walsine Pierce: AMERICA - Home of the Good, The Bad and the Ugly. You decide which. AMERICA - Home of the Good, The Bad and the Ugly. You decide which. Radislay Blagojevich, an immigrant steel plant laborer, was from a village near Kragujevac, Serbia. Mila Govebarcia is a serb orginally from Bosnia. Married, they moved to Chicago in 1947. The second of their two sons was Rod Blagojevich. Although Rod Blagojevich worked as a shoe shine boy, a pizza delivery boy and a dish washer, he graduated from Northwestern University with a BA in History in 1979. He went on to graduate from Pepperdine School of Law with a JD in 1983. 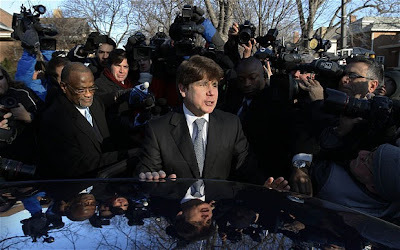 From this humble beginning, Rod Blagojevich became the Governor of the State of Illinois. He has now been sentenced to 14 years in prison for trying to sell the Senate seat vacated by Presiden Barrack Obama. It seems as how he resisted "giving" the seat to a close friend of the Obama's. THERE ARE THINGS I KNOW BUT DON'T UNDERSTAND! When he was sentenced, the judge allowed him additional free time instead of taking him away to prison in handcuffs. Why? 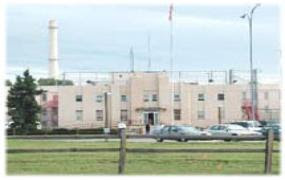 Blagojevich asked for, and received his choice of prisons. Why was that? He chose Englewood Federal Correctional Institution in Colorado. Forbes.com recently rated FCI Englewood as one of the top five places to do time based on such things as the ability to play pool, ping pong and foos ball. Blagojevich can join the Rocky Mountain Club or Toastmasters. He can keep his long hair style. Blagjevich's foul mouth makes General George S. Patton sound like a choir boy. Even when convicted, Chicago politicians take care of their own, huh? Blagojevich has regrets, I'm sure. He regrets not giving Obama what he wanted. Rod Blagjevich will never do 14 years in prison! He will end up with a book deal and retire rich! When President Obama was asked "If he knew Blagojevich" this is an exact quote of his answer: "I only saw Rod Blagojevich one time and that was in the stands and from a distance at a Chicago Bears Football Game". WELL, YOU GET THE PICTURE, GET THE PICTURE, GET THE PICTURE! ARE YOU READY FOR NOVEMBER 2012?